With the latest outbreaks reported on Friday and Monday (14 and 17 September), China officially has 22 confirmed cases of African swine fever (ASF). And while China mostly produces pork for the domestic market, the outbreaks could wreak havoc on global markets. Experts in the United States explain. The issue is not about China as an exporter, said Steve Meyer, an economist with Kerns & Associates in Iowa. China is a small exporter of pork. The issue is the impact on Chinese production, and therefore, demand. 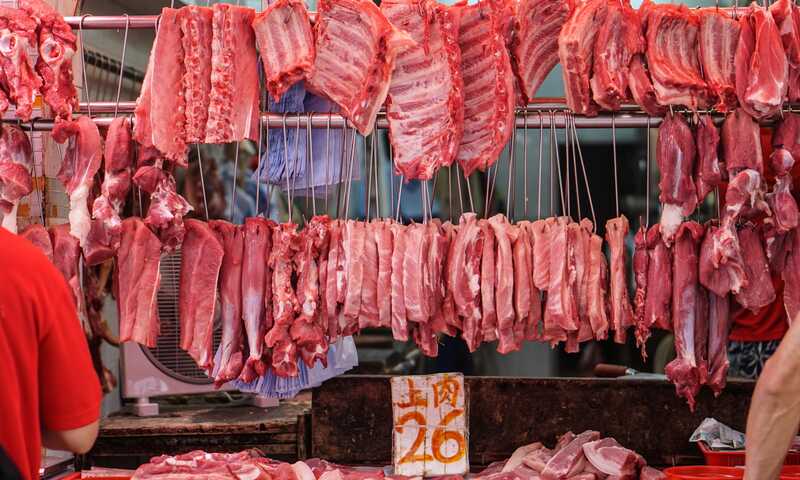 On average, the Chinese eat 85–88 lbs of carcass-weight pork per person per year. “If they start losing a lot of pigs, they can’t feed themselves. “If we took all the pork that’s traded in the world, it would only add up to about 15 percent of Chinese consumption. Meyer is particularly concerned because pig production in China is very dense. Meyer is also very worried about organic soybean meal, which China exports to the US for feed for organic livestock. The US also imports vitamins, pet food and amino acids. Despite what they know now, the US futures market hasn’t responded much, Meyer explains. “But if it gets going like it possibly could with their pig density, our prices aren’t nearly high enough next summer,” he said. Currently, pork is trading at US$80/100lb. Cost of production is about US$65/100lb. The risk to ASF-negative countries like the United States is especially high, since approximately 25 percent of pork production there is bound for the export market. When these foreign animal diseases enter countries it costs billions of dollars in damage, said Scott Dee, Director of Research at Pipestone Veterinary Services in Minnesota. “Exports of pork will be shut down immediately,” he said. Dee is also worried about organic soybean meal imports. Recent research shows that the ASF virus survived well in feed. Megan Niederwerder, Assistant Professor in the Department of Diagnostic Medicine/Pathobiology at Kansas State University (College of Veterinary Medicine), is conducting that research. Recent research shows that the ASF virus survived well in feed, and in shipping containers (even after feed was removed). In her work, Niederwerder found that the ASF virus survived in most ingredients that were tested, including soybean meal, soy oil cake, pork sausage casings, choline, and complete feed. Virus stability was demonstrated for 30 days under conditions of varying environmental temperature and humidity in a model of Trans-Atlantic shipment from Eastern Europe. While pigs are tested for the virus, feed or feed ingredients are not currently approved samples for ASFv testing at diagnostic laboratories in the US. To address this issue, Pipestone Veterinary Services has developed a platform called Responsible Imports. “It’s a platform we are sharing with everyone to be a good citizen of global ag,” said Dee. The platform uses science-based protocol to determine whether or not to introduce critical feed ingredients from countries of high risk. While vitamins and amino acids are considered critical ingredients, soybean meal is not. Dee is working closely with researchers, including Niederwerder, from Kansas State University and South Dakota State University to see if there are some products that could be put in feed to kill the virus. 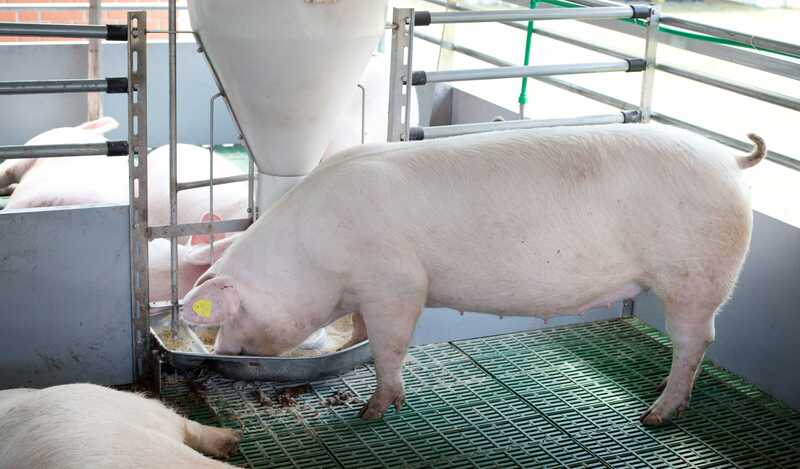 A joint document on Feed Ingredient Safety from the National Pork Board, National Pork Producers Council, American Association of Swine Veterinarians, and Swine Health Information Center has been published online. Additional feed safety resources may be found at www.KSUSwine.org.